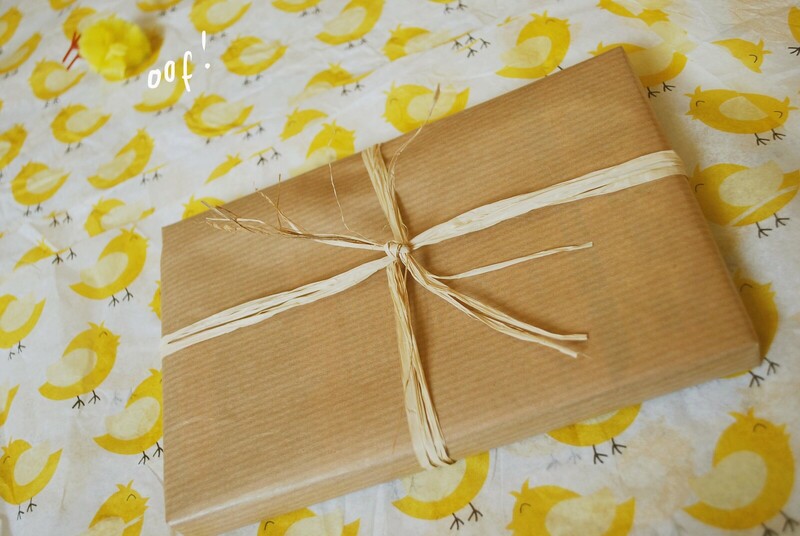 How to wrap an Easter present! When I was little, I never finished my Easter eggs - they would still be hanging around in their boxes by the time Christmas came around. So after a while, my parents decided that it would be much more sensible to get me a book or a video (showing my age there...) for Easter. 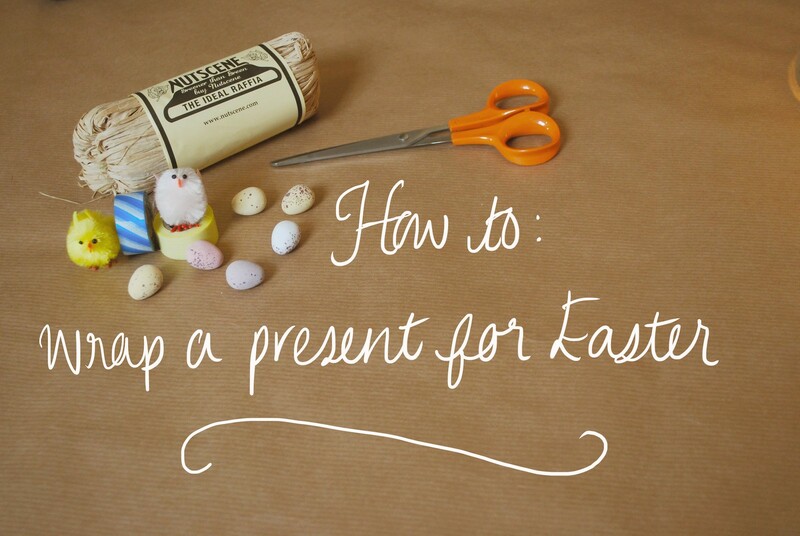 Presents need wrapping, and Easter is a great excuse for some adorable chick or bunny-themed decorations, so let’s get started! 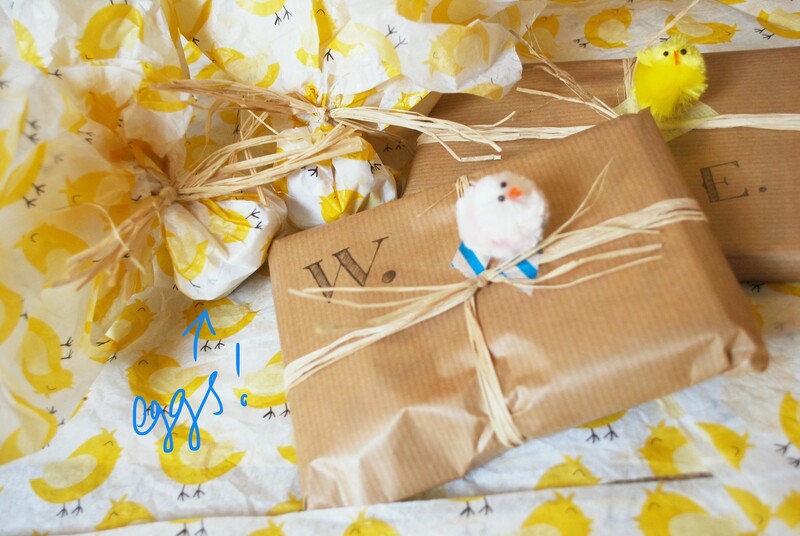 I’ve gathered together some brown wrapping paper, raffia, colourful washi tape, and those iconic little fuzzy chicks that seem to pop up everywhere from the beginning of March. 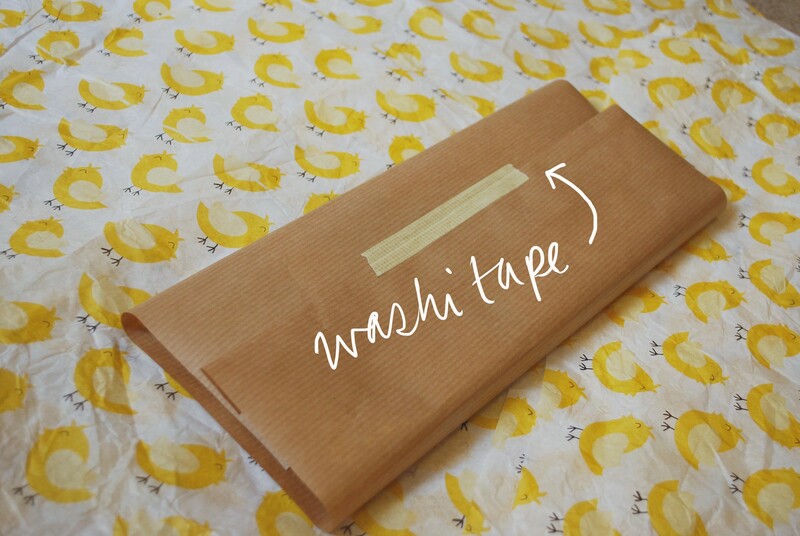 Washi tape is available from most craft shops, as well as places like Paperchase. You can use normal sticky tape, but I think this cheerful stuff makes a nice little statement! Wrap your present as you normally would, and don’t worry too much about it being perfectly neat – you can cover up all manner of sins with cute accessories. (A mantra for life). 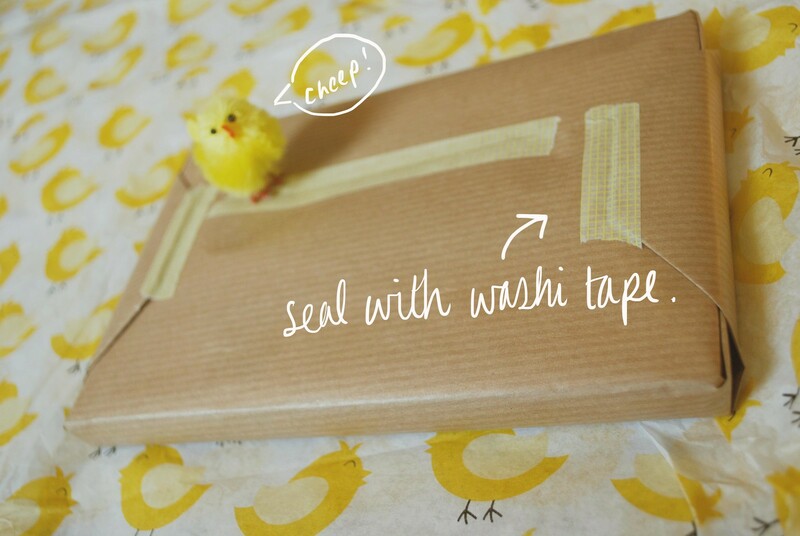 Tear the washi tape rather than cutting it with scissors as this gives it a more rustic look, which goes well with the brown paper. Tie the present with a few strands of raffia so that the bow or knot is on the opposite side to all of the washi tape. I trimmed the ends so that they were all a similar length. Oh no, the little chicklet fell on his face! 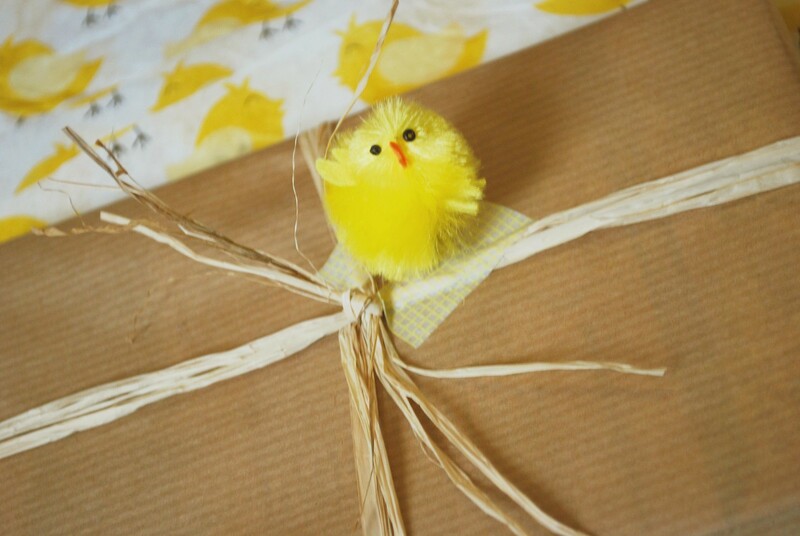 Tape the little chick next to the knot in your raffia. It also secures the raffia so it won’t slip off in transit. Finish the presents off by writing the recipients’ names on the presents. I chose to just monogram them, using a fine-tipped pen. These presents are for my little brother and sister who (unlike my childhood self) absolutely LOVE chocolate. 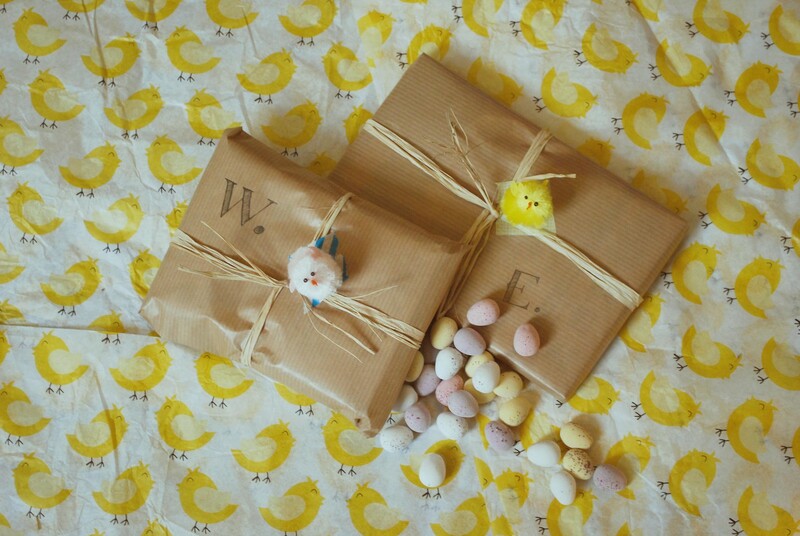 I wrapped the chocolate eggs up in this adorable tissue paper which I saved from a recent trip to Tiger. They change their packing paper with the seasons and I always try to save it whenever I buy something from there. 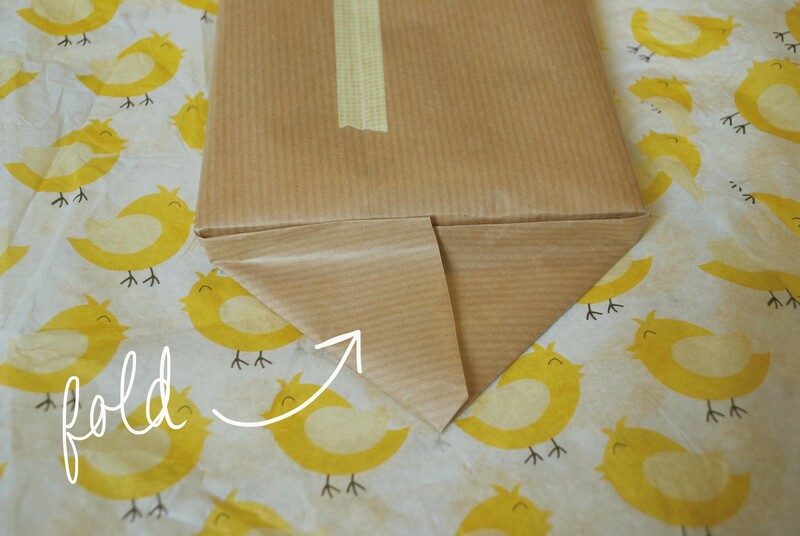 So that’s how I wrapped my presents this Easter. I am obsessed with packaging, wrapping, crafting, and making things lovely, so stay tuned for more seasonal gift-wrapping posts. 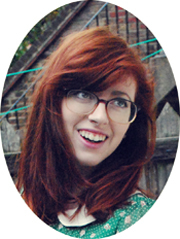 Oh and I’d love it if you checked out the article I wrote about blanket-forts (ie my favourite thing in the whole world) over at Mookychick a fabulous alternative online zine with a feminist outlook. Let me know what you think!